As the new year kicks off it’s a good time to take stock of the memories deeply engrained within my heart and memory. It’s so affirming to look back over the last 12 months and take an inventory of all the things that happened – the good and the not-good – and reflect on successes and lessons learned. 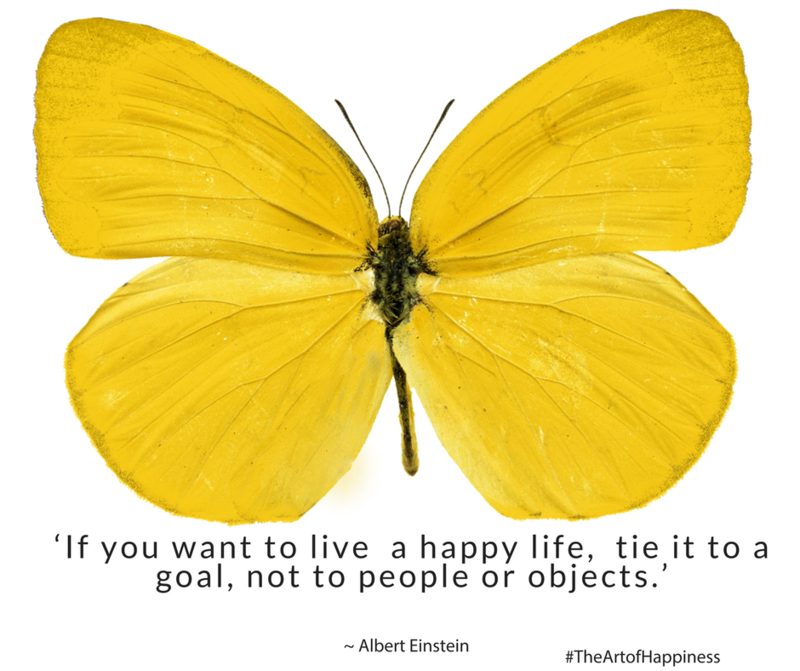 Albert Einstein once said, “‘If you want to live a happy life, tie it to a goal, not to people or objects.’ I took his advice to heart last year – big time! Mostly I set aside more time to do what I loved. I fell back in love with fiction. 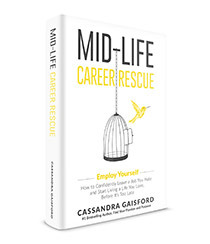 After spending much of my adult life in business roles and writing about careers—how to survive them, change them and thrive in them—I’ve become a ravenous reader of all things escapism. I love immersing myself in new worlds…especially if there is an element of history and the books are art-related in some way, like one of the books I read in 2016 – Jessie Burton’s, The Muse. The Italian Billionaire’s Christmas Bride and The Italian Billionaire’s Scandalous Marriage. The awesome feedback I’ve received is particularly encouraging as, like many successful authors, I had to ensure rejection – and worse the silent treatment from a New York agent who asked me to send her my books and then never got back to me. On the upside this experience lead me to create a new business and new brand – something I’ve been wanting to do ever since I read a book about New Zealand romance writers over ten years ago, The Passionate Pen. It’s been my absolute joy to have heard from so many people who told me that thanks to my books they have confidently left jobs they hated, and started living a life they loved—before it’s too late. Bravo to those of you who have had the courage to make a change for the better in 2016. And kudos to those of you who are planning your great escape. Small steps can lead to big successes over time. In 2016 I invested a significant amount of time and money in developing my new career direction, including signing up for courses and attending conferences to learn from experts in their field. A real highlight was meeting Michael Hauge, a top Hollywood story expert, author and lecturer who consults with writers, filmmakers, marketers, attorneys and public speakers throughout the world. Another highlight was receiving a phone call from Neil Patel, co-founder of Crazy Egg, Hello Bar and KISSmetrics. He helps companies like Amazon, NBC, GM, HP and Viacom grow their revenue. The Wall Street Journal calls him a top influencer on the web, Forbes says he is one of the top 10 online marketers, and Entrepreneur Magazine says he created one of the 100 most brilliant companies in the world. He was recognised as a top 100 entrepreneur under the age of 30 by President Obama and one of the top 100 entrepreneurs under the age of 35 by the United Nations. Neil has also been awarded Congressional Recognition from the United States House of Representatives. Neil is so swamped with requests he doesn’t make individual consultations anymore – but he rang little ‘ol me – for free! When I asked ‘why’ he said, because I sounded nice and he thought it would be fun! Neil’s pro tips to me included: “Having regular blog content is so crucial to building your business and driving traffic to your site.” It’s a great reminder offering free advise and inspiration does help. As Clive (from Significant Lives) wrote to me, “A big draw card was the individualised approach – which just one week into training has already proved its worth! I simply wouldn’t be making the same progress if I was say, hooking into a weekly webinar with a dozen or more others and one trainer.” I love working closely with people to help them achieve their dreams. Last year, as a result of my books going out into the world, I was contacted by many people in American, Europe, Australia and Asia and asked to share my experiences on podcasts, and in their books, including (appropriately) Write Your Book at Fifty by Jeanette Martin. Yesterday I received an email with another request to share my story in a new book which will be released later this year, called Thrive: Finding Space to Live a Creative Life. As the author, says, “It’s about connecting with your creativity (or a neglected passion), creating the time/space/lifestyle to pursue your creativity, and building habits to live a more creative life. I wrote it because for so long, I was stuck on the hamster wheel of being a workaholic and completely ignoring my creative side. I hope to help others who may also be unhappy, ” the author wrote to me. Amazingly the theme of this book sums up last year (and my intention for those that follow) perfectly. To live and work with passion, creativity and joy you need to make space. Falling out with a couple he had thought were very dear friends. it seemed jealousy got the better of them, despite best efforts to heal the rift they moved away. Happily we have wonderful new friends in our life. Numerous technology and computer meltdowns including my website (www.worklifesolutions.co.nz) being hacked six times. In the end I had to have it rebuilt and create a new domain. I lost content, time and money. But other than these and a few personal challenges life (which I’ll share in my book, ‘Your Beautiful Mind” life has been pretty good. I think it helps that I’ve invested so much of my life in the personal development space—and that I meditate. And following my passion has been good for me. I will focus and eliminate all distractions when I write. And I mean ALL – in 30 minute cycles, using timers to keep me honest. Right now my fav tool is focusatwill.com. The developers says this will work magic because it’s “Scientifically optimized music to help you focus.”I’m a big fan of this tool …I love the music and loving what it’s doing for my productivity. It is absolutely incredible how much you can achieve in 30 minute bursts when you are focused. I will simply and declutter my life – this includes my work area and desk and laptop (eliminating the unnecessary) – this will help me better achieve the above. This is going to be tough as I tend to be a ‘collector’ but I’m going to try. I will engage in three passion projects for the year – writing wise. As above for non-fiction and two art-related fiction books. One of these is particularly significant as it is the book I never thought I could write. More about this in later newsletters! To achieve this I am committing to being more ‘anti-social.’ Not drinking will help this along as the majority of times I socialised last year involved alcohol. Related to this I’m rethinking my relationship to social media. I truly am cutting back here, including taking the app off my Iphone so i don’t do quick check ins. Being away on holiday off the grid was a great digital detox one I am to keep in check. Health is a priority. I’m 52…half way to my next life—I want to make sure I arrive in good shape. Alcohol is gone, coffee too, sugar – on the way out. In is green and clean and raw. Let’s see how I go. Meditation needs to be more regular for sure. I’ve been a meditator for over 20 years but sometimes I forget to prioritise it. Financial independence. I’ve been slack. 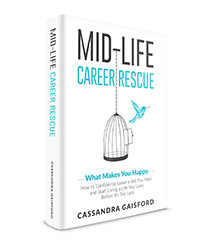 After forging a very independent and successful career as a life coach and corporate trainer when I met my lover I allowed myself to get comfortable as I forged a new career direction. 2017 is the year I will leverage off all that I have learned and achieved and watch my prosperity soar. 2017 is the year for creative living beyond fear and big magic—financially, and spiritually. I will trust and listen to my higher self more—especially in matters related to writing and running my business. I will love numbers more. Last year and in the six or so months before I’ve switched off from all things numerical – accounting and finance wise. It’s true, out of sight, really does mean out of mind. Not good escapism at all! This year I’m dedicated to earning more and spending less, and that means ensuring that every dollar I spend is an investment in fast-tracking my financial success as I continue to reinvent my career as a creative woman. Learn from the experts. This year I’m defragging from email overload and tapping into experts only. One of the few things I’m doing is taking a fiction writing class with James Patterson. Exciting!! As of January 2016, James has sold over 350 million books worldwide and currently holds the Guinness World Record for the most #1 New York Times bestsellers. In addition to writing the thriller novels for which he is best known, he also writes children’s, middle-grade, and young-adult fiction and is also the first author to have #1 new titles simultaneously on the New York Times adult and children’s bestsellers lists. He’s a pro for sure! I’ve learned so much already. I’m also going to consult screenwriting guru Micheal Hague again—especially for my big (secret) project which has already been suggested by a top literary agent could become a movie! I know paying for these services will fast-track my success and feed my goal to be the best writer I can. I consulted with him when writing one of my romance novels (The Italian Billionaire’s Christmas Bride) and the feedback was invaluable. Plus I’ve signed up for a class with my guru Tim Ferris, How Billionaires, Icons, and World-Class Performers Master Productivity. I’m going to be incredible efficient with my time—minimising distractions and doing less to achieve more. A big change will be outlining before writing and using story-telling techniques when writing future blogs and newsletters to enhance my craft. I’m going to be driven by passion and ensure I keep my passion alive—focusing and eliminating distractions and maintaining balance will be key. Passion will carry me through the tough times and affirm me during the good times. I know, I know—I’m the passion queen. 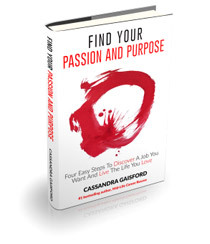 But even the most passionate people can get distracted and burn out. I’m going to get up earlier at 5am and ‘just do it!” This is going to be challenging, but I’m determined to make this a joyful ritual. My writing rituals will include five 9 hour days per week dedicated to fiction, one to non-fiction and marketing/business activities. Day seven will be a passion day – whatever I decide that will be. I love everything I do – so that will be easy. 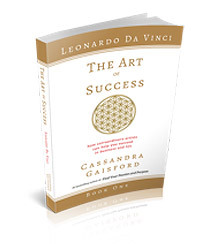 Included in this is Balance – relationship, health and spiritually wise. Meditation, romance, chilling will all factor in—including a reward trip to Japan with my lover in September to defrag and retop up our inspiration well. I’m to take a year out from complaining! Gosh, if you commit to this, and log your progress you’ll be super aware how much we complain about things that really don’t matter – like the wind, or the rain, or the fact my cooked spinach is cold. Instead this is my year if gratitude for the blessed life I am fortunate to lead.